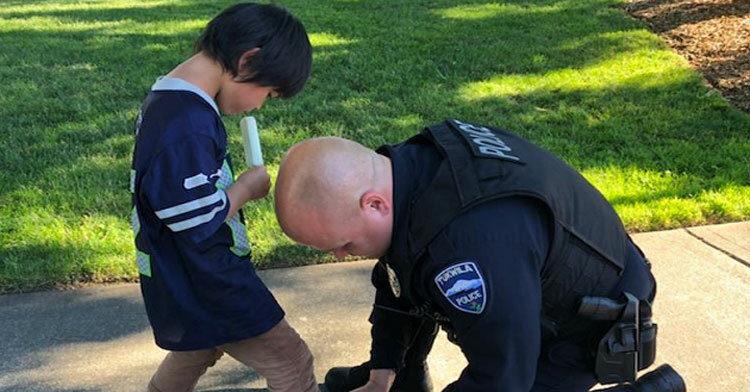 Cop Sees Boy Walking In Bloody Socks, Inspires World With Compassionate Response. Every day, police officers work to protect and serve their communities all over the world. While we often think of cops as being the guys who we call in an emergency, its also the small, simple acts of kindness they perform that truly make them public servants. Two officers from Tukwila, Washington have recently made national headlines, all without ever giving out their identities. 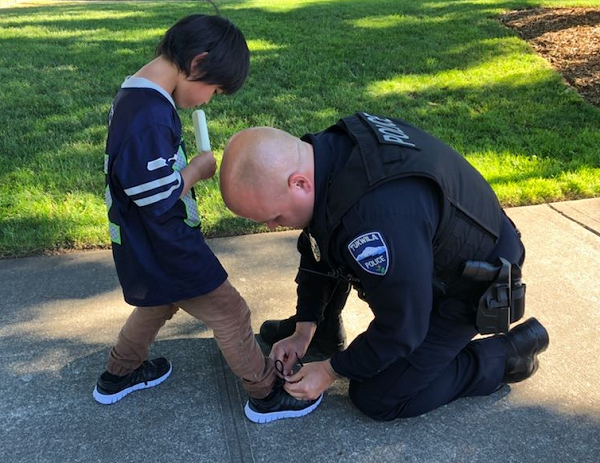 The Tukwila Police Department shared a brief story of how two officers happened to see a child running through a park with torn, dirty socks and a gash on the bottom of his foot. The two cops took one look at the child and knew they needed to help, so they intervened in the most beautiful way. 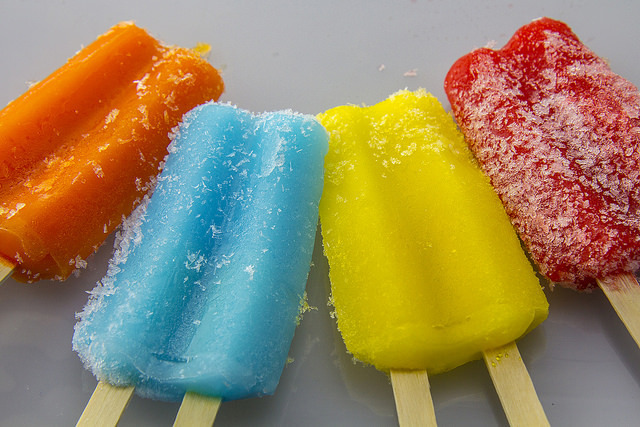 We love a story with a sweet ending! Great work, Officers “Modest” and “Bashful!” Thank you for all that you do to keep us safe and happy. Please share this story to thank the men and women in law enforcement who risk their lives for ours every day.